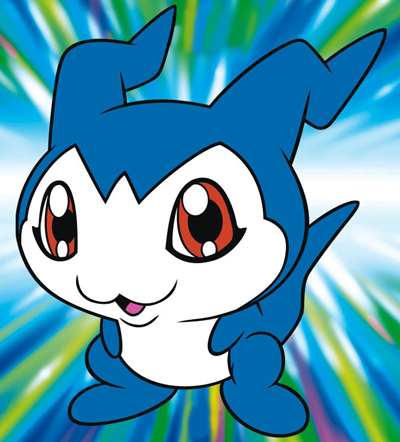 DemiVeemon is the cutest little blue baby dragon from the Manga TV show called Digimon. 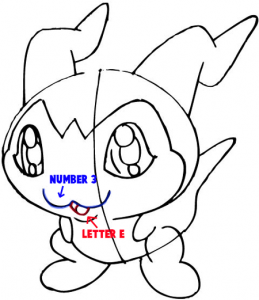 The DemiVeemon is digivolved from a Chibomon. This little dragon is so adorable that he will fall asleep at a moments notice. 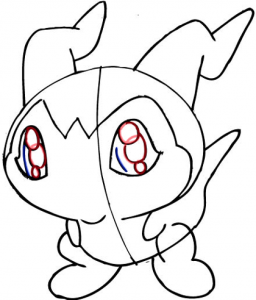 This is one of the easier Digimon characters to draw and is a good place to start learning how to draw. I have simplified this drawing tutorial into easy steps… I hope that you enjoy it. 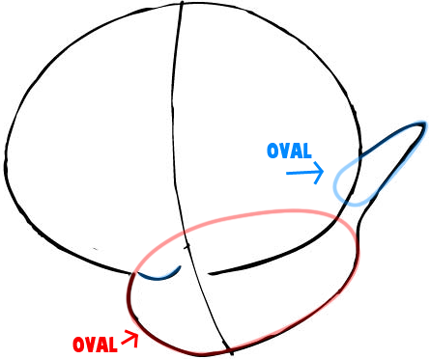 Start the drawing off by lightly drawing an oval. Then draw a guideline thru the center to help place the facial features later. 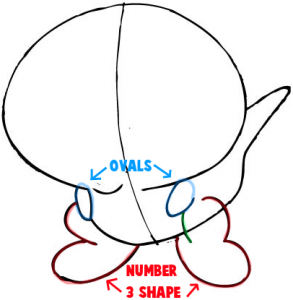 Lightly draw 2 ovals…as seen in the drawing above. 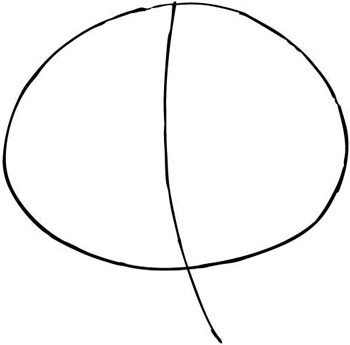 Draw lines connecting these ovals each other. 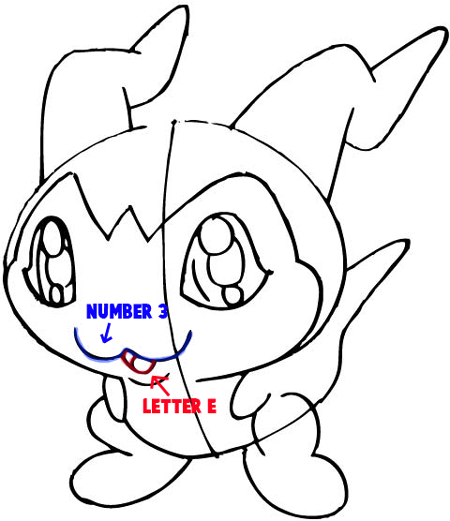 Also draw a curved line for the chin. 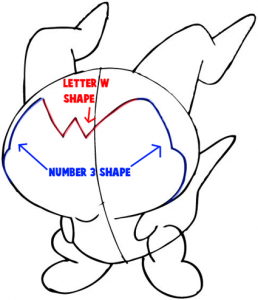 – Draw ovals for arms. 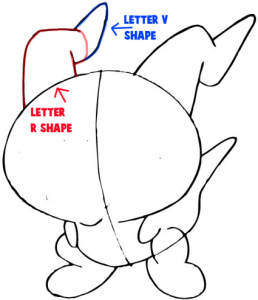 – Draw a capital letter ‘R’ shape and an upside down letter ‘V’ shape to form the tail. 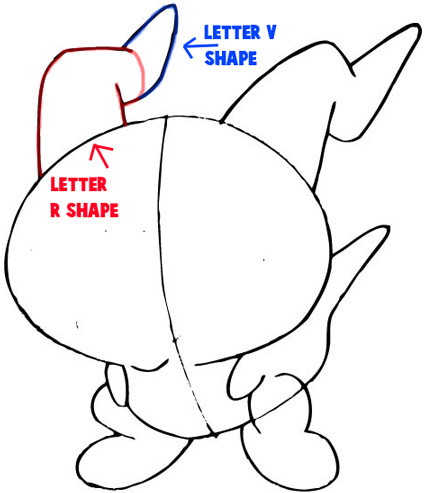 – Now draw the other tail by again drawing a capital letter ‘R’ shape and an upside down letter ‘V’ shape to form the tail. – Now draw the inside part of the face. 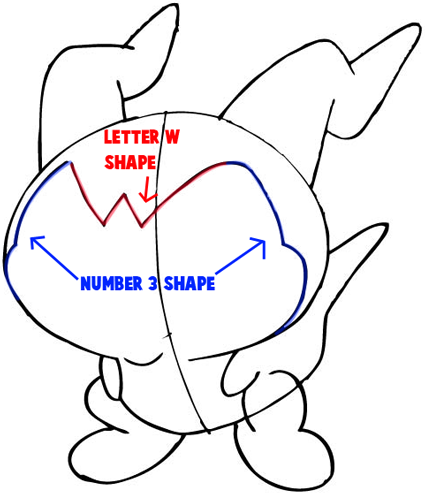 by drawing two #3-like shapes and a letter ‘W’ shape for the center. – Lets draw the outside part of the eye. 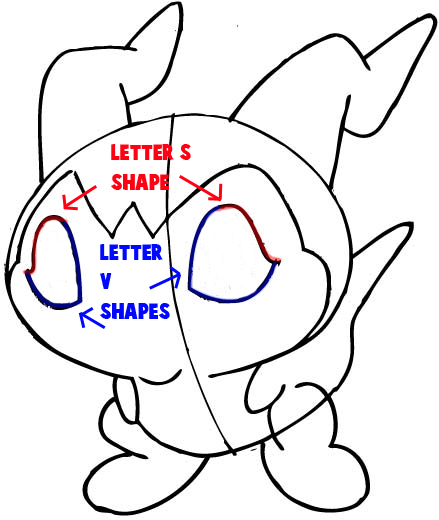 The inside shape of the eye is a slightly wider letter ‘V’ like shape (highlighted in blue). 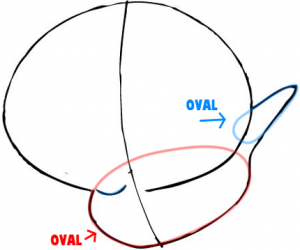 The outer part of the eye is an ‘s’-like curve (highlighted in red). – Now lets draw the inside part of the eye. 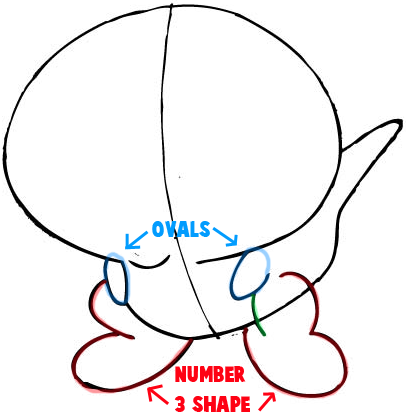 Each eye is made up of 3 circles. 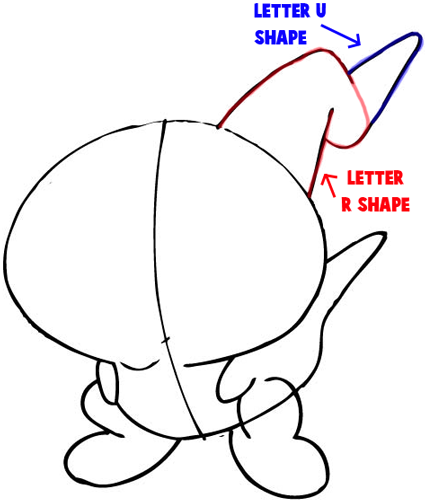 Also draw a slightly curved line. – Now draw the mouth. It is made up of a sideways number ‘3’ shape as well as a sideways capital letter ‘E’ shape. 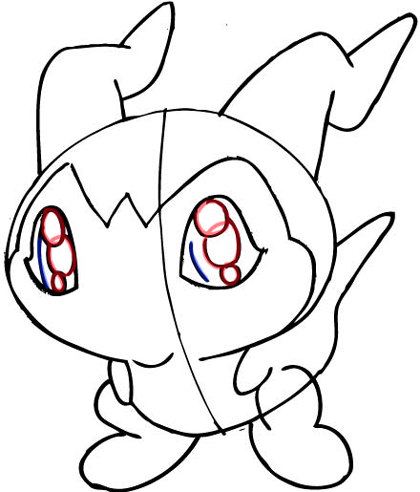 Then you can color this cute little guy in. Since he is a blue dragon, make sure to use blue for the outer skin. 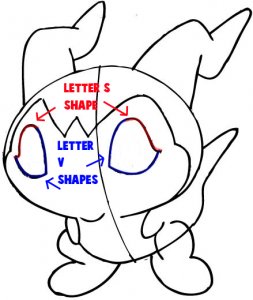 I hope that this tutorial helped you draw an amazing DemiVeemon and that you had fun! This article was written on 12 Jan 2014, and is filled under Digimon, Manga TV Shows.